These videos are a good overview of the genetic testing being done at 23andMe. You probably should watch her earlier (2009) video first. This second video (2010) is a little dated in terms of 23andMe's policies but the explanation of the DNA testing and interpreting process is very comprehensive and is still very good. Of the major US companies that provide direct to consumer (DTC) testing of DNA for genealogical purposes, 23andMe is the only one which also markets testing of genes that have health implications. Many of you will remember that the original impetus for starting 23andMe was largely to help find a cure for Parkinson's. Although most of our genome probably contains health related information, so far we do not know the purpose of much of it. Fortunately our knowledge increases on an almost daily basis. The other major DTC genetic genealogy testing services---Family Tree DNA and Ancestry---chose to avoid health implications and concentrate of family tree building. They have done this in an attempt to avoid the scrutiny of the FDA and the wrath of the medical community. The FDA has made tentative attempts to claim that DTC genetic testing is a medical device over which they can claim jurisdiction. Large portions of the medical community still believe that DTC genetic testing is something to which they should control access in order to protect the public. Both attitudes, if accepted, would slow the progress toward personalized, genome based, medical treatment that is on the horizon and has the potential to revolutionize medical practice. If can help us predict which drugs and other treatments are likely to be successful with specific patients and thus eliminate many that would be ineffective and even counterproductive. Both patient care outcomes and medical costs can be positively effected if we treat our bodies in ways that our individual genes are ready to accept. Family Tree DNA has just announced a three day sale aimed at individuals who have not yet tested. If you are interested in exploring cousins in any line of your pedigree chart, this would be a great opportunity to start. These test bundles both include the Family Finder autosomal test which is good at finding close cousins on any of your lines. It will return matches with some of your more distant cousins who have tested but not all of them. Your match rate becomes significantly and increasingly smaller with each generation beyond third cousin. Both men and women can take advantage of this sale. However, women can only take the Family Finder + mtDNA option as women do not have Y-chromosome DNA. 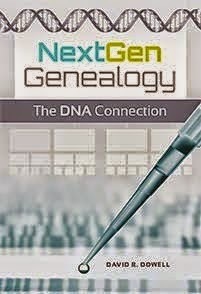 The Y-DNA 12 and the mtDNA tests bundled with Family Finder for this sale are entry level tests. They will give a vague indication of deep ancestry but matches at this level will not be useful for identifying specific relatives in the database. On the other hand, they can definitely eliminate many potential relatives who belong to different ancient tribes than the person being tested. While the Family Finder test is as definitive as any autosomal test on the market, the two tests with which it is bundled for this sale should be considered as entry level only. Those taking advantage of the sale price for genealogical purposes, will probably want to expand the Y-chromosome or the mitochondrial portions at a later date--possibly at the next sale aimed at existing customers. This is a courtesy e-mail to you about a promotion that we have announced to all our customers, and therefore you don't need to re-post it in your administrators' bulk e-mail system. If you can read the chart above, Ancestry projects that 71% of my DNA is compatible with origin in the British Isles and 25% appears to be of Eastern European origin--leaving 4% uncertain. 23andMe tells me that I am more than 99% European, less than 1% Asian and 0% African. 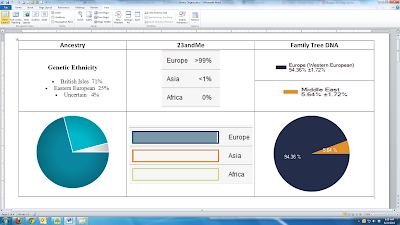 Family Tree DNA (FTDNA) reports that 94.36% plus or minus 1.72% of my DNA is compatible with Western European origin; and 5.64% (again plus or minus 1.72%) is of Middle Eastern origin. Hmm? I'm glad I got that all sorted out. What else did these lab reports tell me? 23andMe specified that the Asian component (less than 1%) is on Chromosome 1. FTDNA equates my Western European overwhelming majority as being compatible with Orcadian (Orkney Islands?) DNA. The remaining Middle East component is classified as "Palestinian, Adygei, Bedouin, Bedouin South, Druze, Iranian, Jewish, Mozabite." This all must have been confused by my 2.5% Neanderthal DNA which 23andMe found. As a point of reference, this put me at the 39th percentile of Northern Europeans who are said to average 2.6%. My wife and her sister scored at the 95 percentile with 3% Neanderthal DNA. I want a recount! It looks like I may get it with Gene 2.0 which claims to test Neanderthal as well as Denisovan DNA. So what have I learned as a result of these analyses? I have learned to take these reports, at their current state of evolution, with a grain (or perhaps a shaker) of salt. They point in the right direction but the exact point of origin of my various deep ancestors are still a little murky. These predictions are based on autosomal DNA so it encompasses all my lines and not just the paternal > paternal... (Y-chromosome) and the maternal > maternal... (mitochondrial) lines. I hope more experience and more individuals testing will sharpen the focus of these emotionally fascinating tests. We all know that autosomal DNA is inherited is rather random way. Although each parent contributes essentially half of a child’s DNA, it is hard to predict how much of that half comes from each grandparent. We are all still learning how best to understand the test results. 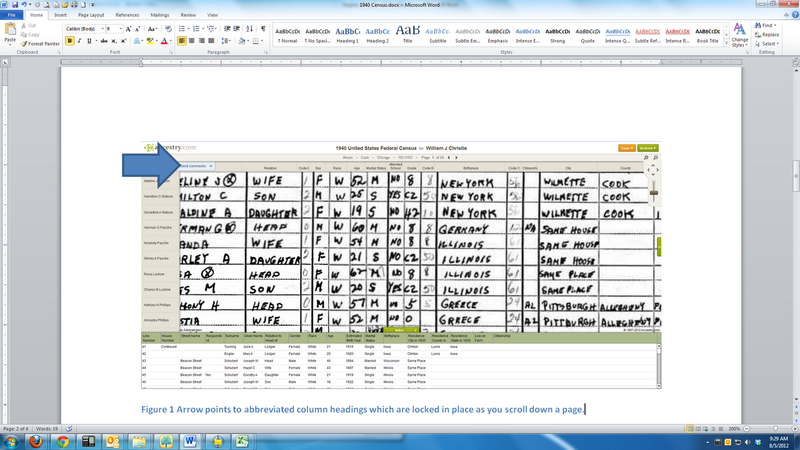 As you see 7 of my 57 “distant relative” matches were shared by my paternal first cousin. 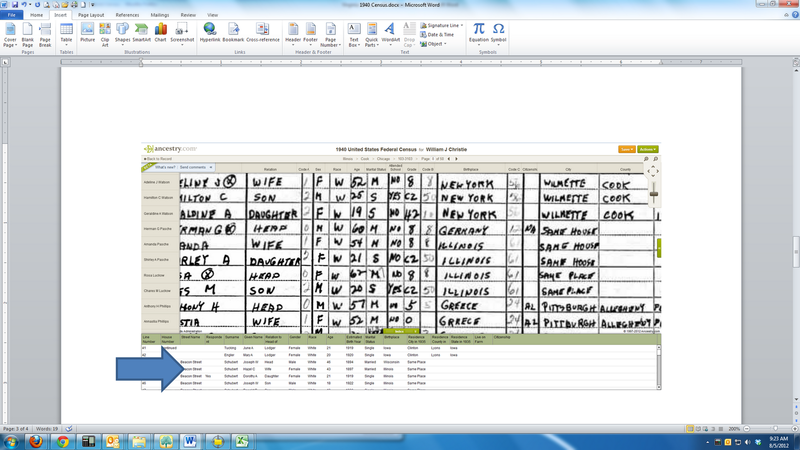 Also 5 of my 57 matches were shared with my maternal first cousin – once removed. As I had expected none of these 12 matches overlap. So it appears that a match with one or the other of these two cousins should narrow my search for our common ancestry to one side of my family. Other findings were not as predictable. 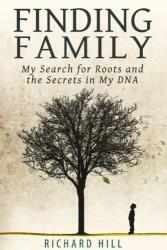 Twenty-two of my “distant relatives” were shared with my daughter and 16 with my son. Of those 5 of their matches overlapped and they had 28 unique matches between them. My children share one of their 5 common matches with each of my two cousins. In addition, each child independently shares one separate match with each of my cousins. Actually, my son shares two with my first cousin – once removed that are not shared with his sister. Of my 57 matches the 14 strongest matches are shared with at least one offspring or cousin and 23 of the strongest 25 are so shared. Only 11 of the next 25 are so shared. Four of the weakest 7 matches are shared. It is possible that some of the 19 unshared (with close family members) actually would show up as “remote matches.” I may extend my little analysis to see if this is true. If I do I’ll add the results to the blog at that time. Also of possible interest is to explore further the extent to which full siblings share matches with distant and remote relatives. 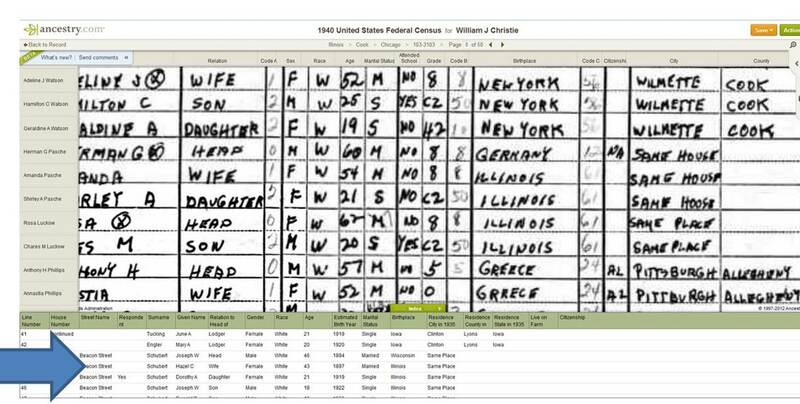 All 132 million individuals enumerated in the 1940 US Census images are now indexed and searchable by name at Ancestry.com. Congratulations to Ancestry. This monumental feat was accomplished in half the time I had expected it to take. Even if you do not have a paid Ancestry subscription, you may search these records free of charge -- at least until the end of 2013. Enjoy and learn about your family. 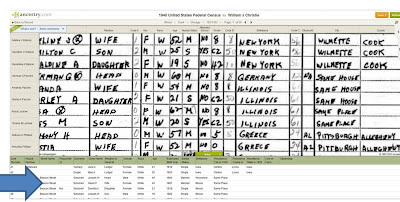 At this writing the consortium headed by FamilySearch has completed the indexing for about two-thirds of the states and territories and is nearing completing of many of the remaining areas. This project promises to provide free access perpetually.